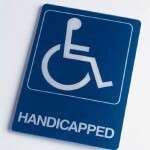 Is your building ADA compliant? And why it is important to follow ADA guidelines for buildings and facilities. You are here: Home / Law Ethics & Policy / Is your building ADA compliant? And why it is important to follow ADA guidelines for buildings and facilities. For commercial property, facility managers and building owners it can be confusing to understand ADA Guidelines however with the right help ADA can be simple. ADA, stands for American with Disabilities Act a law passed in 1990, ADA Consultant such as Bassam Altwal, Assoc. 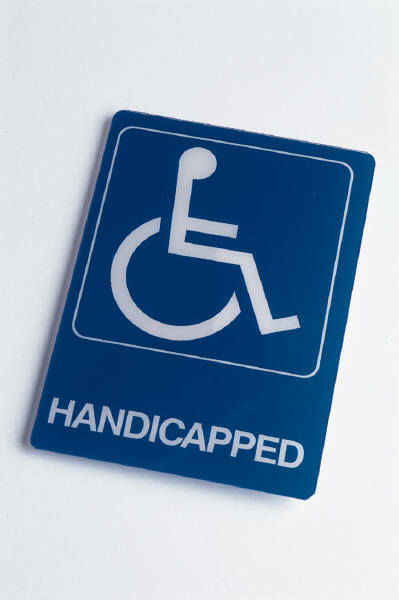 AIA, CASp is the principal at Cal Accessibility can simplify the process and make sure the facilities follow ADA guidelines and lower the risk of getting fined or even worse having a costly lawsuit. We had a chance to sit down with Bassam and ask him some questions to understand better what he does and why it is important to make sure your business meets ADA guidelines. Below are some of his answers. Why does a building need to be ADA compliant? 18% of the national population of the USA is permanently disabled. An additional 8% is temporarily disabled (accidents, medical procedures, etc.). Disabled are the largest minority group in the country and if you add 13% of the population are over the age of 65 (that use accessibility services) the demography becomes much more significant. The disabled demographic command $175 billion in discretionary spending – double the figure for teenagers. It is not just the disabled – we will all age, living significantly longer and generally healthier lives but we cannot escape the frailties of aging. A senior who has no difficulty getting about on the flat may find a short flight of steep steps insurmountable but may not admit it to anyone and go elsewhere with their business. The advance guard of the aging Baby Boomers are already beginning to enter this stage of life ensuring the growth of this market segment for decades. If you have had to go anywhere with toddlers or a stroller, pulled a roller suitcase into a hotel, carried a heavy or bulky package into a building or helped a senior get about for more than half an hour you already appreciate that , ADA Accessibility also makes moving around a lot easier for even the young able-bodied. If you buy or lease a commercial building can we presume the previous owners or tenants made it ADA compliant? While many people are aware of the ADA, which was passed into law in 1990, even those whose properties, facilities or businesses are directly affected by it have an incomplete understanding of its requirements and so are exposed to the risk of civil penalties and private lawsuits. Some of the more common misconceptions are what people think is “grandfathered” conditions, not so. Well, not only is it the Law to comply with ADA it also makes perfect commercial sense for owners and their tenants to cater to such a significant number of potential customers. If the carrot of almost 40% demography and Tax rebates is not sufficient consider Civil penalties up to $55,000 for a first and $110,000 for each subsequent offence may be imposed through Department of Justice enforcement, or $4,000 up to $12,000 per access violation plus attorney’s fees through the California Civil courts (Unruh Civil Rights Act), in California alone over 12,000 private suits have been filed under the ADA, (one lawyer in Sacramento filed 300 law suits) typically these actions seek not only to have infractions corrected but also an award of monetary damages to the plaintiff. The cost of settling either in court or out of it will far exceed the cost of paying for any remediation. California accounts for 42% of all ADA litigation nationwide. How can business owners ensure compliance and reduce chances of getting sued? Businesses should hire a certified access specialist (CASp), who is a person business owners can be assured has been tested and certified by the state as an expert in disability access laws. SB 1608 (State Bill) sets up a process whereby business owners can voluntarily hire a CASp to inspect their buildings to ensure compliance with disability access standards and obtain an inspection report as proof they did so. If a business owner does get sued, how does SB 1608 help to encourage early resolution of the lawsuit? Even when businesses have reduced their chances of a lawsuit by hiring a CASp to ensure their building is in compliance and posting their CASp sign, unfortunately, there is never a 100 percent guarantee of not getting sued; however, SB 1608 gives CASp-approved businesses some tools for helping to resolve unnecessary litigation and encouraging early resolution, like for example businesses that have been CASp-inspected before being sued — and only those businesses — are entitled to request a 90-day stay of the lawsuit and an Early Evaluation Conference (EEC). The Department of Justice, the ultimate enforcement agency of the ADA, it encourages businesses to assess what needs to be done and then to have in place plans, procedures and policies to guide implementation. In other words enforcement does not insist on complete and immediate compliance regardless of cost. On the other hand doing nothing or taking half-hearted, slipshod measures are an invitation to lawsuits and substantial penalties and costs. The other entities to enforce the ADA are private citizens through their lawyers and the court system by filing a lawsuit. What other information can you give us? Don’t delay taking the first crucial step on making sure business property or facility meet ADA guidelines. It is the Law, Engage a qualified CASp firm to do an ADA survey of your premises and give you a confidential report of findings, solutions and estimates to base your implementation plan on; make sure the firm is qualified and have the proper insurance and experience. Get ready to welcome the Disability Demographic who will welcome your changes. What if the property was built with stairs only but is zoned for commercial. What can you do to protect yourself? Should you post something for contumers? If the property is zoned for commercial but there are no commercial (public accommodation) in the property and only used for private then no need to do anything, but, assuming, the property is used for commercial, there are few factors, for example, there is an elevator exemption, means you don’t need to provide al elevator, yet, the stairs need to be compliant, like railing on both side with appropriate railing extensions and heights, like stripping on each external step and landing to allow the visual impaired a chance to see the steps (if they are not completely blind) and like slip resistant steps, all these items can be considered ‘readily achievable” thus need to be addressed. Another factor is the date of the last construction that happened in the building. So many factors and each case need an individual evaluation. I hope I answered your question.